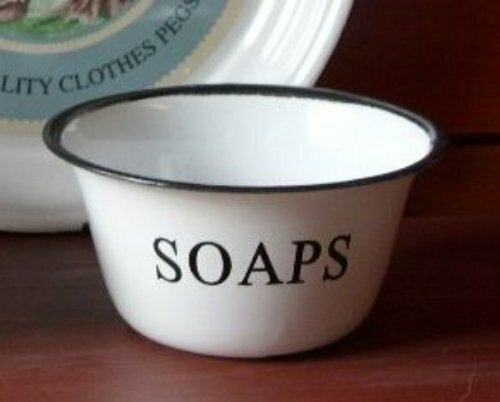 This vintage retro style enamel soap bowl distressed look looks great by the sink. Personalize your bathroom with this white enamel soap bowl distressed finish – vintage style. 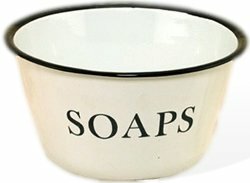 bath salts, powders or lotions inside with your own unique gift card..
Enamel soap bowls are a handy accessory at the kitchen sink, bath and laundry room. Use them to hold dish cloths or scrubbies. 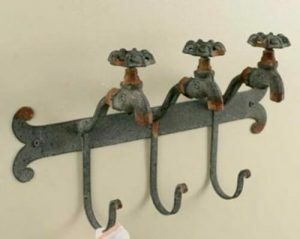 Vintage appeal with distressed rustic characteristics that would add charm to your decor. 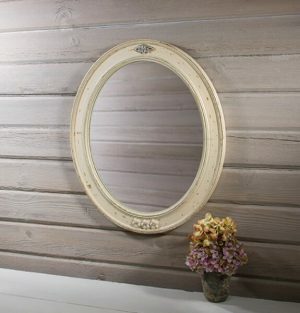 Color: white with black rim-distressed finish * Holds 3-4 bars of soap or dish clothes.